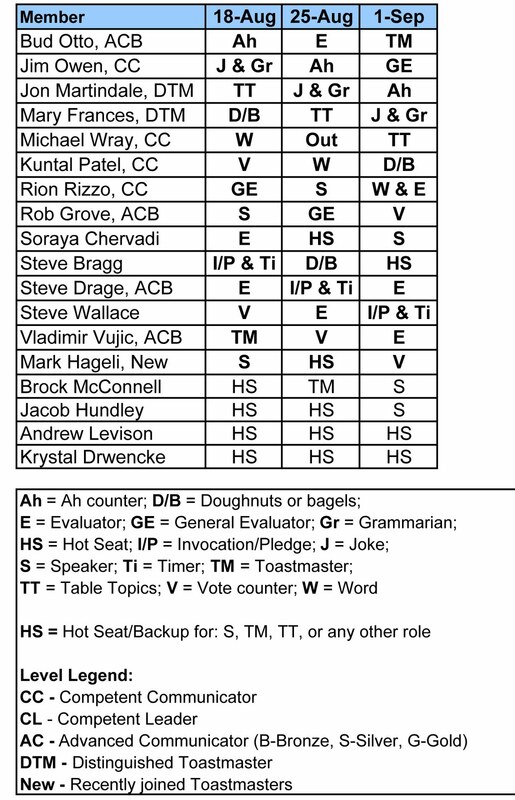 Here are the Toastmaster role assignments for this week's Thursday morning meeting. 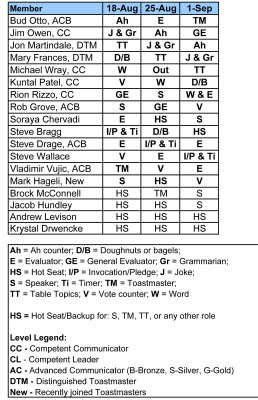 Please be sure to let the Toastmaster (this week Vladimir Vujic) know of your availability to fulfill your duties with either a phone call or email. Looking forward to seeing everyone there!